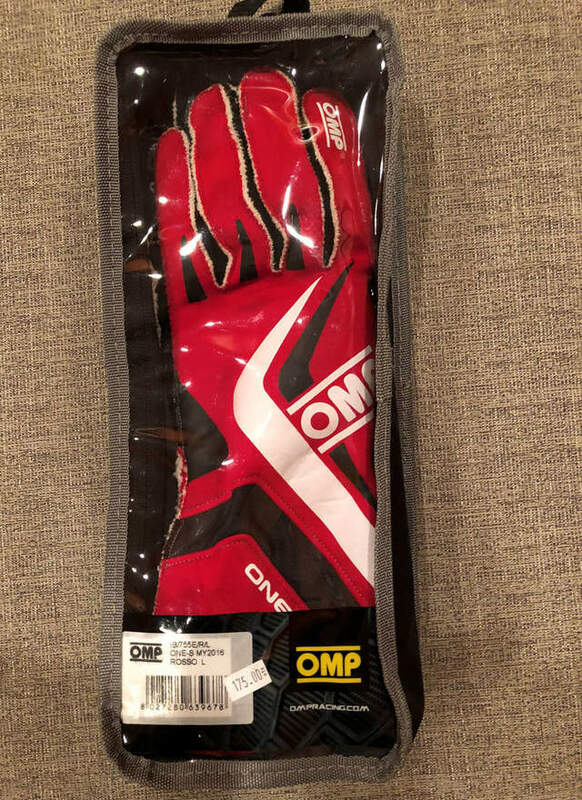 SOLD OMP One-S gloves in Rosso (red) in size large. Gloves are in like new condition, were only used twice for DE’s. 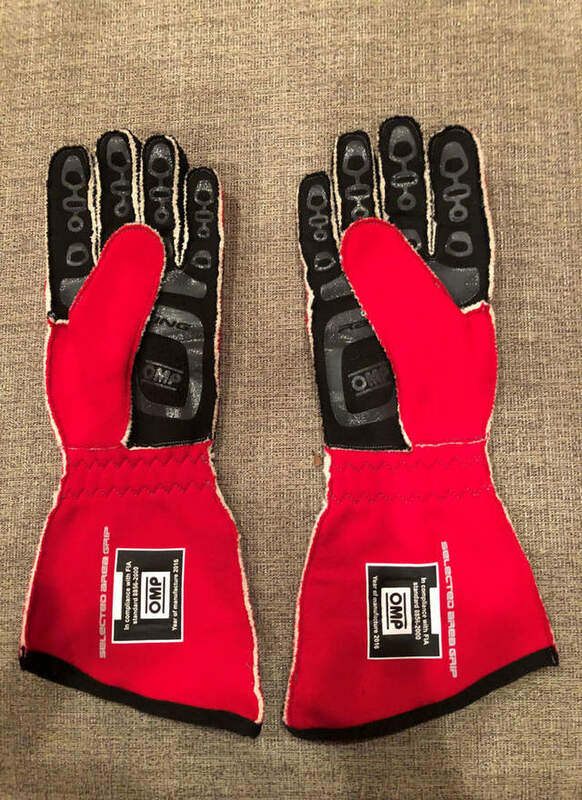 Gloves come in original storage bag. Original price $175.00 plus tax. Offered here at $125.00 with free ground shipping within COTUS. 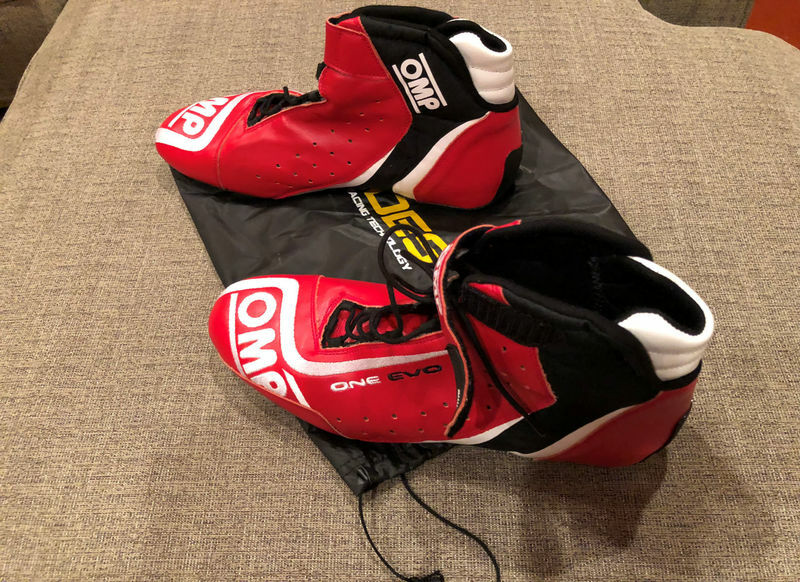 SOLD OMP ONE EVO size 11.5 U.S. leather high top shoes with storage bag. 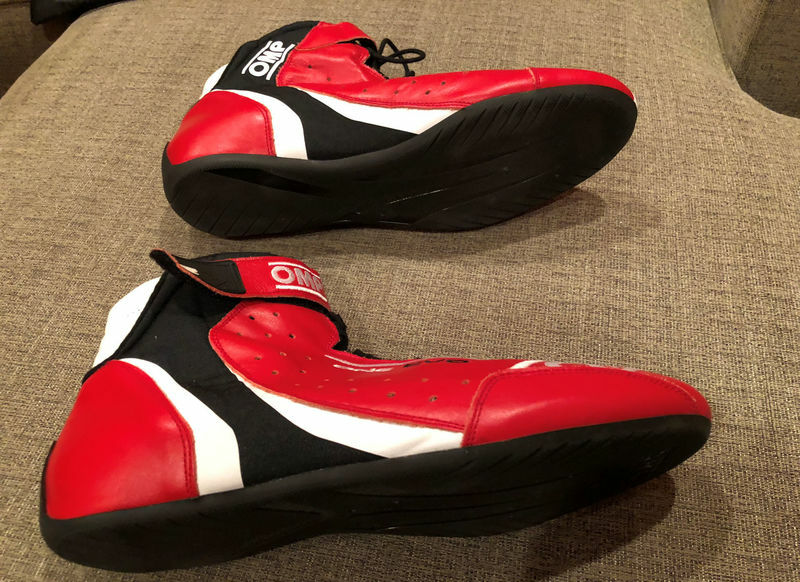 These shoes are new and were never worn; only tried on for fit at time of purchase. Original price $299.00 plus tax. Offered here at $225.00 with free ground shipping within COTUS. 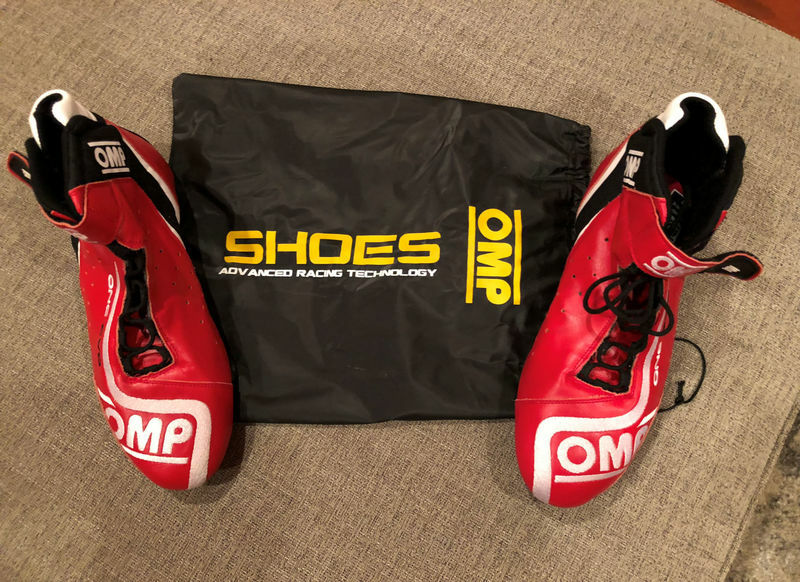 If you need assistance determining your size, you can visit the respective manufacture’s’ online websites for sizing charts.